Dublin City Council received €3.96 million to work on 236 local authority units. THE GOVERNMENT HAS allocated €15 million to bring 1,008 vacant local authority properties back into use, junior minister Jan O’Sullivan announced today. The money is part of a €30 million fund which will be used to “transform” 2,000 units into “high-quality family homes”. The first 953 homes of the 2,000 is already underway following €15 million in grants issued in April this year. The Labour TD said she is determined to “use every lever” available to her to increase the number of social homes, echoing her new leader’s statements that the housing crisis is a priority for a Joan Burton-led party. “One of the biggest scandals of recent years has been the high number of vacant, boarded up local authority homes,” she said in a statement, adding that construction jobs will also be created as a result of the investment. As part of the recruitment process, local authorities have been asked to look to community-based organisations who recruit, train and engage long-term unemployed people. The refurbishment of boarded up houses is also a very positive development for a local community as it removes an eyesore and a space that can often become a focal point for anti-social behaviour. It is expected that people will be able to move into some of the homes within months and a report on completions will be released at the end of October. Thirty local authorities have received funding in this round. The only exception – Monaghan – did not make an application but had received money in the previous scheme in April this year. The largest amount was allocated to Dublin City, which received €3.96 million to refurbish 236 units. Cork City and Cork County councils obtained €1.58 million and €1.18 million respectively to work on 179 houses. Email “Housing Crisis: 1,008 vacant properties to be 'transformed into family homes'”. 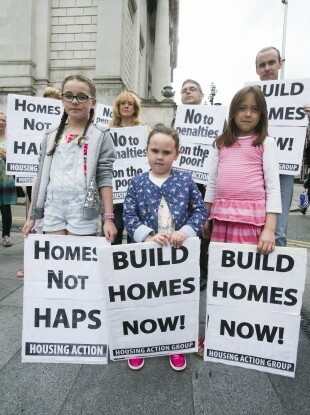 Feedback on “Housing Crisis: 1,008 vacant properties to be 'transformed into family homes'”.